Categories: Cards | Tags: Card making, Cards, color challenge, emboss resist techinique, retirement, rubber stamps, stamping, Stamping Up, Verve Stamps | Permalink. 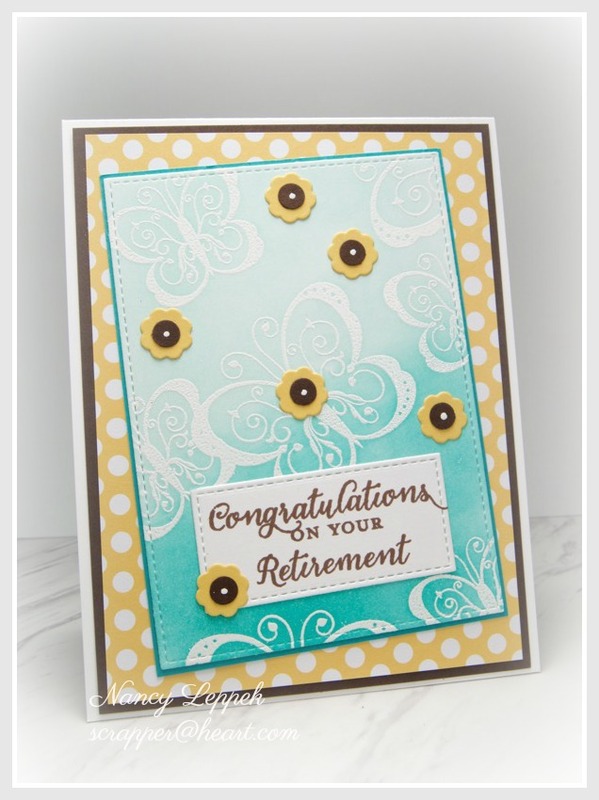 Pretty card and pretty color combo. I like the little flowers and the pretty butterfly. Beautiful! I love those butterflies and how you sponged the ink with the emboss resist technique. Love the polka dot background, too. I really do like the little scattered flowers scattered around the butterflies. Love the beautiful butterfly stamp and the sweet little flowers! Awesome design! Super sweet card Nancy. Lovely layout sponged beautifully. Great card Nancy!!! Love those delicate butterflies and your blended background. You beautifuly used the color palette! 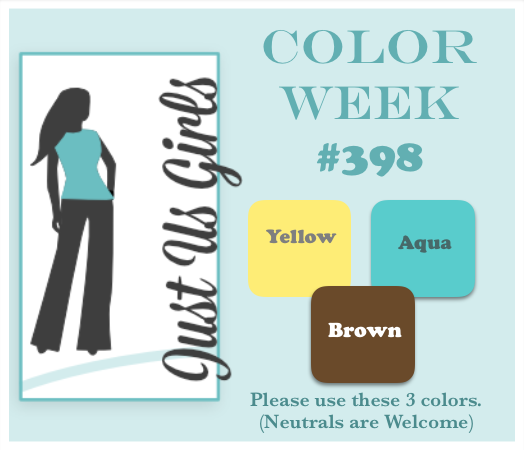 I love this color combo and your card is darling! Ink blending, butterflies, flowers and polka dots. Some of my favorite things all on one glorious card, Nancy. Love it! And you for covering for me and my addled brain. What a lovely card! I am so partial to white embossing with sponging – just beautiful. Great use of those colors too, I found them a bit of a challenge and you used them perfectly here.